FRIDAY - FRIDAY - FRIDAY - ONE DAY ONLY!!! After an incredibly labor-intensive day getting ready for our departure and a few (3) hours of sleep, @papa-pepper and family made the trek from Arkansas to Wisconsin yesterday, showing up at the house of @grandpa-pepper in time to grab a late dinner. 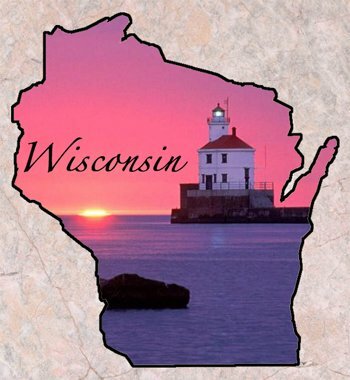 Among the other reasons for this trip is the WISCONSIN STEEMIT MEETUP tonight in the center of the state, provided by @provider. Time and time again when I see posts about the steemit meetups going on, I wish that I had been there. The ones in the US (like recently ones in Austin, TX and Florida) are a little more realistic for me, but I miss the ones that I see going on around the world as well. 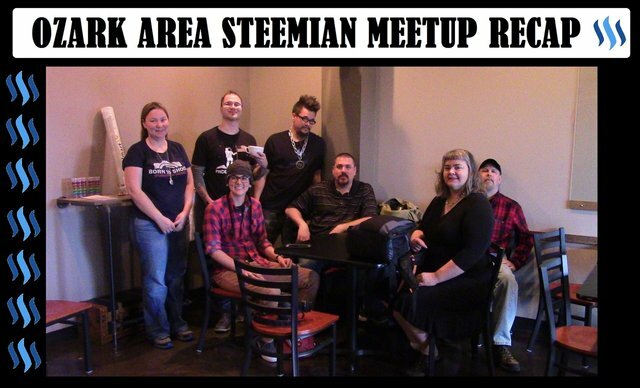 Just the fact that steemians are putting forth the effort to gather together and meet one another offline is incredibly. Being able to attend the ones that I have been able to has been a huge blessing. I have a few ideas for the future as well to take things a little further, but I'll share more on that later. The event tonight was the idea of @provider. He figured, "How can you let @papa-pepper pass through without trying to rally the steemians in the area?" 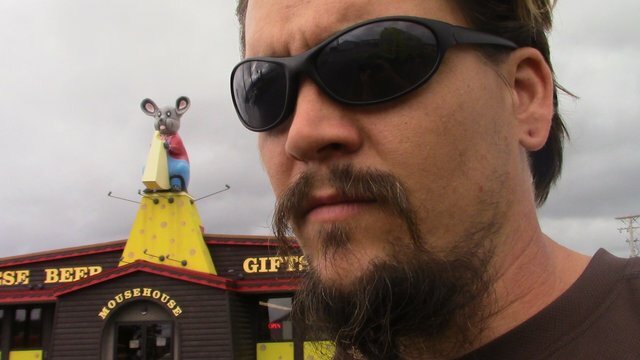 Conveniently, he even secured a meetup location in the direct center of the state, which isn't all that far from some places in Illinois, Iowa, and Minnesota either. 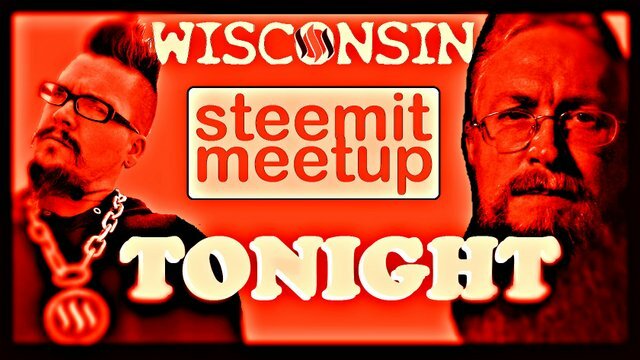 It'll be an interesting time tonight, and I'll finally get the chance to meet some people from my old home state that I never knew when I lived in Wisconsin, because steemit did not exist then. I'll even try to interview a few for my interview series so that you all can get to know a little more about some of our fellow steemians. Here are a few of my interviews so far. If anyone is interested in coming, please let us know. You can find out more info at my promo post by clicking here. Whether you can make it or not, I'm sure that a few recap posts will be put out by some who attend, so at least you won't have to miss out on the memories. Have a great time tonight. WI is a cool state. We will be having a great time! Thanks! We may even have a little fun in your honor! You meet alot of people to this platform @papa-pepper ,thats why people around this community likes you,perhaps love's you! Thanks @bien! It would be nice to meet you one day too! You can made it @papa-pepper ,it would be my greatest honor to meet people like you on this community.. I wish I still worked for Trane Airconditioning, could have gone to Wisconsin, if only to attend this meeting ;-). Been there a few times, love it. @steemdev; we need a streaming video functionality. 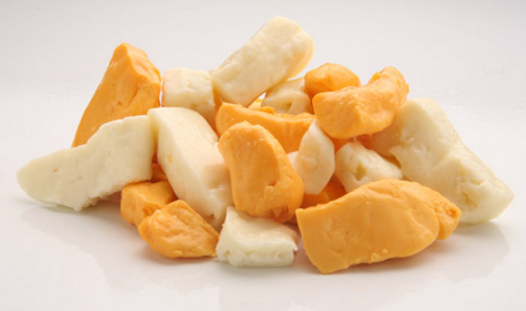 I'm in Wisconsin, too! Wish I could be there tonight. Have a great time!! Cool, maybe next time. Which area are you in? South Central....About 30 miles from the IL state line. Have an extraordinary time tonight @papa-pepper! Be sure to post about it. I'm just a wee bit jealous. I would love to get together with other steemians, but where we live there is not one really close by. For me to attend one would necessitate traveling to other countries which is not bad in itself but the costs become prohibitive quickly. Yeah, I had to show that I was really here! that is cool , word out for Wisconsinites ! Glad you made it safe and sound and glad you get to be involved in the meetup while you are there. I'm sure everyone is looking forward to your updates on it. It's cool how you live in a place and never know so many people from there until Steemit comes along. I guess it's because everyone is out doing their own thing and posting to Steemit. :) Have a great time and be safe. I know, some of the people that we really like hanging out with Arkansas like @dwells, @essentialoilmom, @mericanhomestead, @beardo, and @jeejee, we only met because of steemit. Otherwise we would have no clue that they were in the area. Awe!!! We really like hanging out with y'all too. I look forward to being able to come to your place and see all that you have accomplished on your land, plus hopefully get to meet the other steemians that live by you. Will have to make sure @bluerthangreen isn't gone on the road that week. Finding out @papa-pepper likes hanging out with you kinda makes me feel like astronaut Fred Randall. Lol. You are funny bro! We sure did! Thanks @rynow. So cool how everyone is linking up, spreading the steem love. keep up the fun @papa-pepper. It has been a fun and wild ride! A very happy meeting and how wonderful togetherness with a face-to-face meeting. @Papa-pepper is really great. I hope if papa have time then come to Indonesia ..
Glad to see you guys made it safely to your location. Have fun and I am looking forward to seeing you do some more interviews. I have at least a few more coming from up here. Thanks brother for all you are doing ! I just finished smoking all the meat and can't wait to see to see everyone tonight!!! Damn, Im a few hours from there. Wish I didn't have previous obligations! Hope you all have a wonderful time and enjoy the lovely Wisconsin. Agreed. Been eating them since I got here. This post has been ranked within the top 25 most undervalued posts in the second half of Aug 18. We estimate that this post is undervalued by $23.75 as compared to a scenario in which every voter had an equal say. See the full rankings and details in The Daily Tribune: Aug 18 - Part II. You can also read about some of our methodology, data analysis and technical details in our initial post.